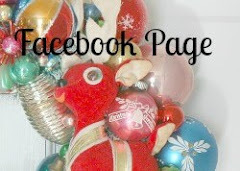 I've been up to my earlobes in hot glue and vintage christmas goodness. That's right, I'm working on all my Christmas crafting and as if I didn't already have enough to do, I decided to start this little blog. 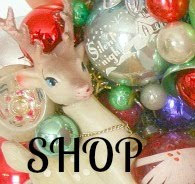 I'm just a bit obsessed with vintage christmas goodness I decided to make an entire blog about it. That way I won't bore everyone over at my other blog going on and on about Shiny Brites and putz houses. 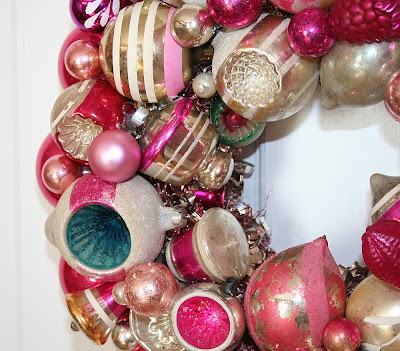 ﻿I poured all my best vintage pink ornaments of the year into this wreath. As you can tell, this blog is still under construction. Just added your new blog to my favorites list. I love looking at all your great stuff--watching as you find it and make it. I wish you all the best in your newest endeavor! I think your Christmas stuff is fascinating! 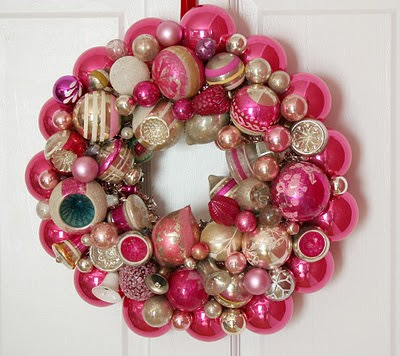 Love that pink wreath--great job. Looking forward to lots of Putz houses, reindeer, and shiny brites! This is genius. 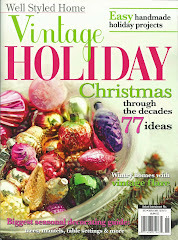 I never get tired of hearing about vintage Christmas. That is so gorgeous but how can you part with it. It is so amazingly beautiful and one of a kind. I wouldn't be able to part with it, especially after putting in so much work. 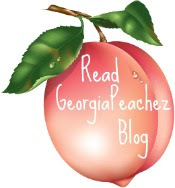 By the way, of course I am following you on the new blog. I will be enjoying your creations......and drooling. I just love the pink wreath - I think it is your best yet. I will be following this blog as well as your other one. 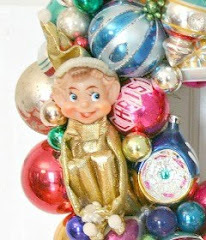 Vintage Christmas is a weakness of mine - can't wait to see what else in coming. OMG! I have been admiring your wreaths for some time now back when I first spotted them on Flickr and Etsy.....they are amazing! I actually gasped! That is so beautiful. Great job.